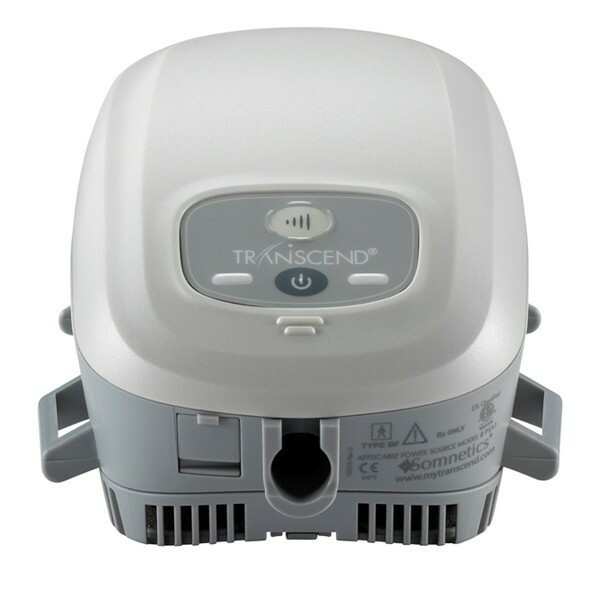 The Transcend II Travel CPAP Machine is the world' s most innovative small, light, and portable PAP! It weighs less than 1 lb and is quiet, with a 29 dB sound rating. Transcend II is now compatible with all CPAP masks. Optional battery packs allow for use anywhere.Take this CPAP camping, boating or travel - wherever power is out of reach. Transcend II is a great travel or every night machine. Would you like to make it a bundle package to save even more? Small, lightweight and portable - Transcend weighs less than a pound and fits in the palm of your hand.Why bring extra carry-on when you can pack the whole system right in your briefcase? Compatible with any CPAP mask - The Transcend Sleep Apnea Starter system is now compatible with any CPAP mask via the Transcend Universal Hose Adaptor and standard 6’ hose. Quiet and vibration-free Unique air bearing blower technology eliminates heat and friction so Transcend can deliver vibration-free therapy at a quiet 29 dB sound pressure level. Automatic altitude adjustment and voltage conversion - Transcend is ready to use anywhere with automatic altitude adjustment to 8,000 feet above sea level. When traveling outside the US all you need to bring is a plug adaptor. Transcend will convert the voltage so you can continue receiving safe and comfortable therapy, or recharge your Transcend battery. 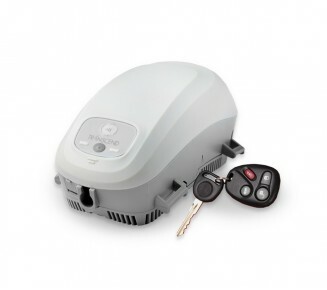 Unheard-of flexibility - What other CPAP gives you three configuration options? You can use Transcend like a traditional CPAP with a standard 6’ hose and any mask you like, or you can upgrade to one of two Transcend Waterless Humidification options featuring unique and patent pending heat and moisture exchange (HME) technology. Add a Transcend Overnight or Multi-night battery - and you can sleep comfortably anywhere. Mobile power The optional Transcend Mobile Power Adaptor and the standard AC Universal power supply give you the option to sleep anywhere. For the first time you have small, portable, and lightweight options for sleeping while you’re on the road, under the stars, in your boat or RV, in a remote cabin, or for weathering a power outage at home. AHI and leak detection - are standard AHI and leak detection are standard to Transcend’s therapy compliance reporting program. Transcend records, stores, and reports on up to 13 months of therapy compliance data that is easily downloaded and sent via email to your healthcare provider with the push of a button. Easy to clean and maintain - Transcend is easy to maintain and has few parts to clean. 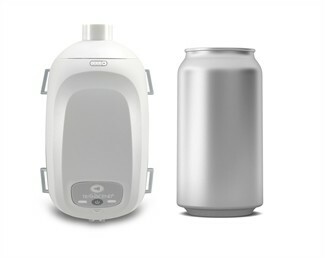 The Waterless Humidification Systems - use hygienic, disposable heat moisture exchange (HME) filters, so there’s no messy heated humidifier to maintain. 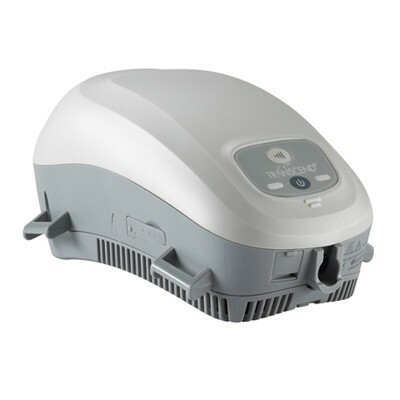 LED lights let you know when it’s time to clean the air inlet filter, and the interface and headgear are cleaned easily with mild soap and water. Medical devices are exempt from carry-on restrictions, so be sure to take your Transcend CPAP with you on your flights. We recommend never checking a CPAP device with your luggage as it could be damaged or misplaced during transit. Gocpap.com will provide you with a Letter of Medical Necessity that you can provide to airline officials with your device, if necessary. You can also purchase a tag stating the medical purpose of your bag to hopefully avoid confrontation about your device. Very pleased with this product. Traveled very well to Europe. Could not have went on my trip without it! As a CPAP user, I thought it would be impossible for me to undertake a 500 mile walk (El Camino de Santiago) in Spain. But when I saw the Transcend II, I began to think it might be possible. I bought the unit and the 16 hour rechargeable battery, and I have just returned from a successful trip. The unit worked great under less-than-ideal conditions. As it turned out, I only needed the battery twice and could have arranged not to have to use it at all. Without the battery, walks like this are very do-able. Even with the weight of the battery, it was possible. Thanks to GoCPAP and Transcend for opening up the world in a new way! Great machine - I have been using the Transcend for roughly 3 months, so far I am delighted.